AUBURN HILLS, Michigan — Besweatered Sergio Marchionne has issued an internal memo requiring all Chrysler white-collar employees to wear white collars. And suits and neckties for men. Suits or pantsuits for women. The new requirement represents a major policy reversal from the man who turned around Chrysler after its 2009 bankruptcy. Marchionne is known for his black sweaters, worn over open-collar shirts. One source says Marchionne hasn’t been seen wearing a suit since Pope John Paul II received him at the Vatican in the mid-1990s. The 60-year-old Marchionne told employees in the email memo that he would adhere by his own requirement. “After years of living every day like it’s casual Friday at Fiat and Chrysler, I’ve come to the conclusion that it’s time to dress like professional adults while at work. 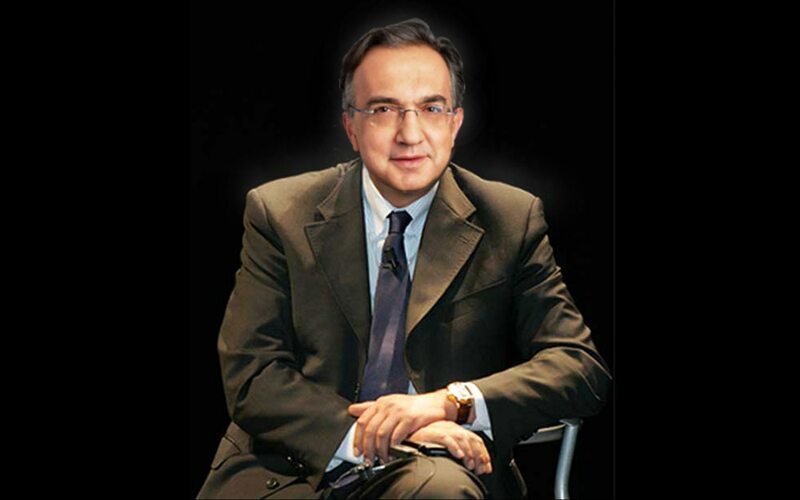 I will join you in wearing suits daily to the office,” Marchionne’s memo reads. The memo adds that Friday and Saturday will be “semi-casual,” in which men will be allowed to wear sport coats with neckties, instead of suits. On Sundays, men will be allowed to forego the neckties. Marchionne’s team commonly works through weekends. According to Marchionne’s memo, he and his employees will face the same requirement at Fiat in Turin, though no doubt with much sharper suits. The memo indicates the change is all about projecting a more traditional, formal attitude at the Auburn Hills HQ, though one theory is the change came about as a result of a Chrysler 300C product tie-in. “This is a stipulation in the contract with John Varvatos to design and lend his name to the special-edition 300. I wouldn’t be surprised to see Chrysler give hourly workers Carhartt shirts as a result of the tie-in over the special-edition 200,” says Jim Hall, chief analyst at 2395 Down Analytics. Headquarters was abuzz over Marchionne’s email memo over the weekend. “Even though I’m a designer, I can’t figure out what kind of tie to wear with all my black suits,” says a Chrysler employee who asked not to be identified, for fear of losing casual Sundays. A nearby Nordstrom in Troy, Michigan, reported a run on black neckties, and was out of stock by Saturday evening. “What kind of suit goes best with pencil pocket-protectors?” asks a young engineering co-op employee, Mark Frankus. Others reportedly were expressing concerns over whether Marchionne would frown on loosened neckties after 5 p.m. Women employees apparently are confused about whether they would have to wear neckties as well, which was not spelled out in Marchionne’s memo. One female employee says the memo could prompt revival of the “Annie Hall”-style women’s clothing made popular by Diane Keaton in the 1977 Woody Allen movie. Yet another employee asks what wearing suits and ties has to do with designing, engineering and building cars and trucks. The new policy is considered especially draconian in that it takes effect immediately, on Monday, April 1.